NEW BRITAIN – An alleged co-conspirator in the death of Erick Rivera on North Street in January requested a timing waiver for his case from New Britain Superior Court on Wednesday. 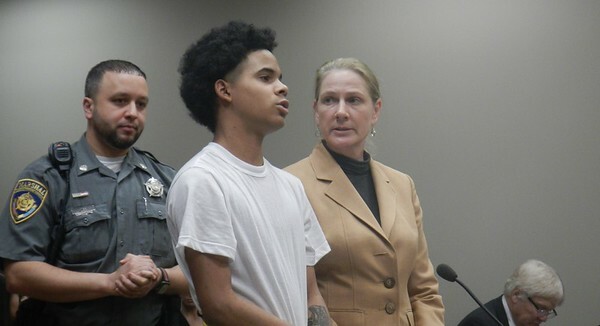 Wilfredo Oquendo, 17, of New Britain, will next be seen on June 12 after Judge Joan Alexander granted the timing waiver. A person representing the victim’s family said the extension was acceptable to the family. Oquendo is charged with accessory to murder and conspiracy to commit murder in the shooting that took place near the intersection of North and Willow streets on Jan. 15. Justin Hapgood, 18, of New Britain is the alleged shooter in the case. He is charged with murder and conspiracy to commit murder in the case. The warrants for Oquendo’s arrest alleged that Hapgood shot Rivera after Rivera attempted to rob Oquendo. Oquendo allegedly told Hapgood to shoot Rivera after the robbery attempt. State prosecutor Rob Mullins, who was standing in for the regular prosecutor in the case, said discovery was provided to the defense Wednesday morning. Posted in New Britain Herald, General News on Wednesday, 10 April 2019 13:02. Updated: Wednesday, 10 April 2019 13:06.